Eric Ulrich’s campaign for public advocate has Staten Island as as essential, and central, part of his potential path to victory. A recent visit included a live-streamed appearance with a homeowner in Prince’s Bay and campaigning at a Shop-rite in Charleston. He was joined by Council Member Joe Borelli and Assembly Member Mike Reilly in Prince’s Bay and by Reilly in Charleston. 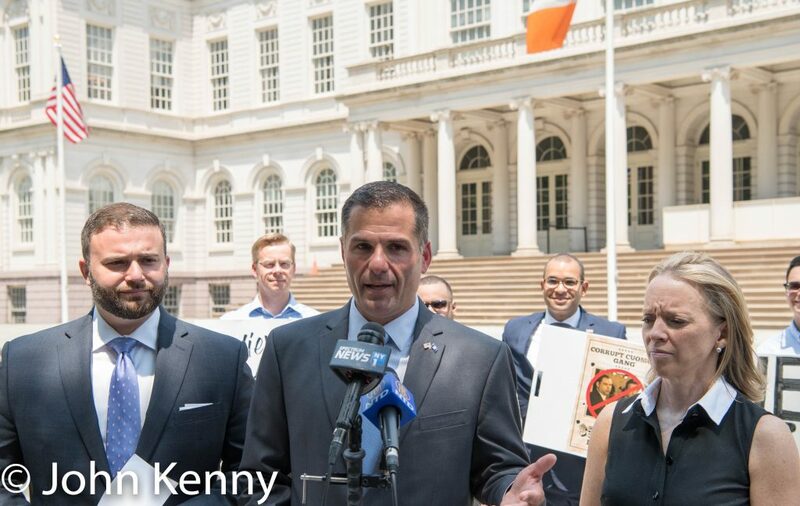 Republican gubernatorial candidate Marc Molinaro came to New York City’s City Hall Monday, joined by running mate Julie Killian and Council Member Joe Borelli for a press conference focused on opposing Governor Andrew Cuomo’s effort at eliminating the tip credit. (The tip credit allows paying tipped service workers, such as waiters/waitresses and bartenders, less than minimum wage due to their receiving significant tip income. Eliminating it would raise wages but, in the view of many in the hospitality industry, lead to many establishments eliminating tipping completely and consequently reducing tipped workers income.) 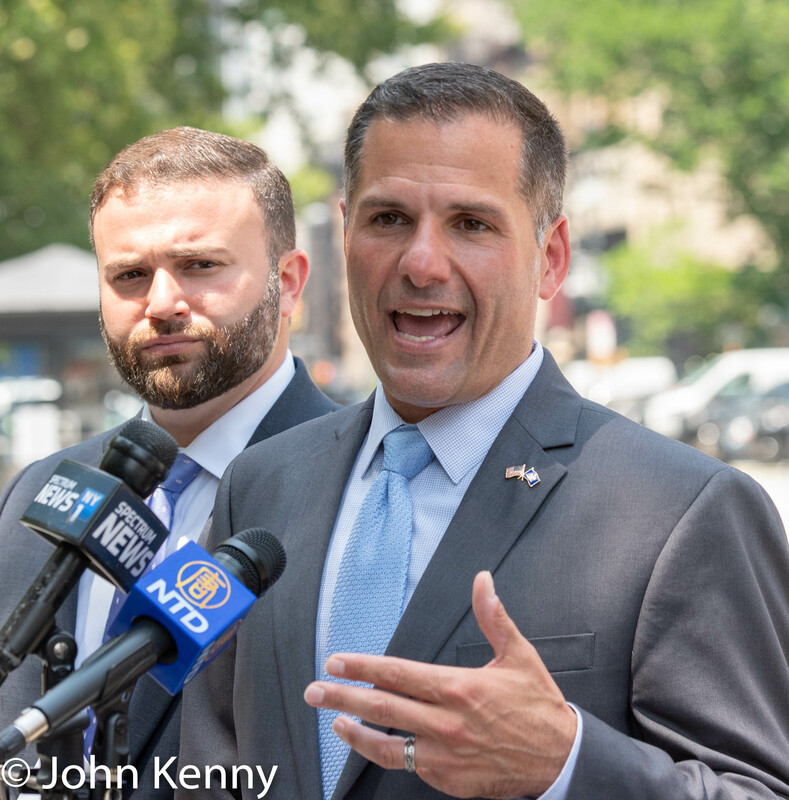 Other topics included Molinaro’s ability to reach City voters, whether he has a preference in the Democratic gubernatorial primary and his reaction to the Trump/Putin Helsinki press conference. 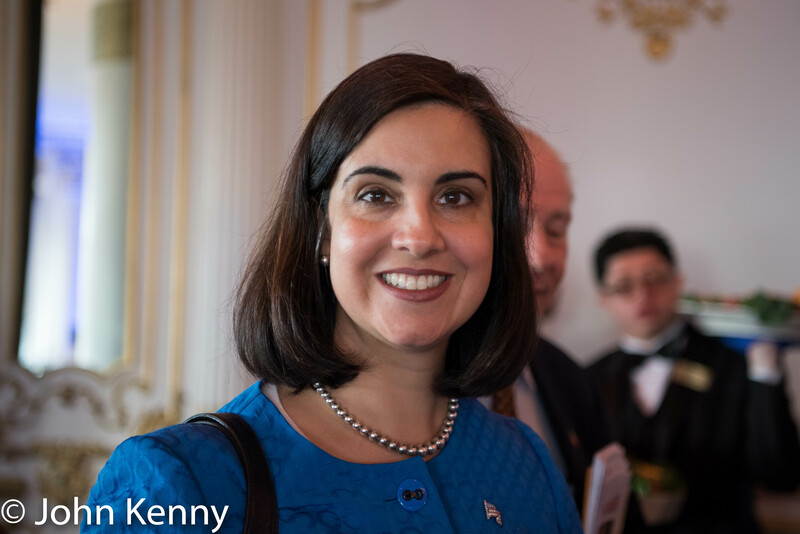 Republican/Conservative mayoral candidate Nicole Malliotakis pledged to examine the City’s property tax system promptly after taking office. Speaking at a City Hall press conference with fellow Staten Island Republican and Council Member Joe Borelli, Malliotakis pledged to appoint a commission within 60 days of taking office, with a goal of producing changes to the complex property tax system in the City that’s widely viewed as uneven and inequitable. 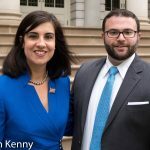 Political peace ruled the shore, both East and South, of Staten Island this morning as mayoral candidate and Assembly Member Nicole Malliotakis and Council Member Joe Borelli held a cordial City Hall press conference. It’s been reported (such as this report by Anna Sanders in the Staten Island Advance) that the two Staten Island Republicans, who represent overlapping districts, have a poor relationship and Borelli had not previously joined his fellow Staten Island Republicans in endorsing Malliotakis for mayor. 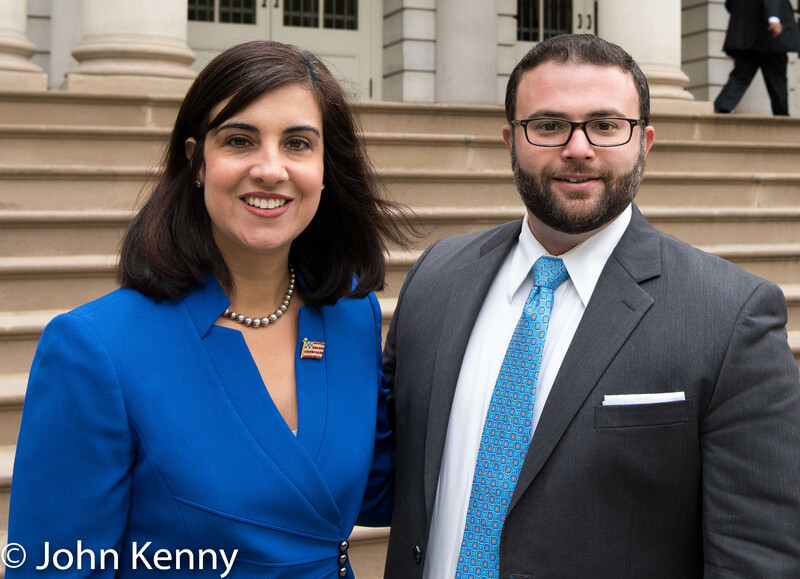 Council Member Borelli previously served in the state assembly alongside Malliotakis. “I endorse Nicole” interjected Borelli as I asked about his lack of an endorsement, repeating it once I stopped speaking. 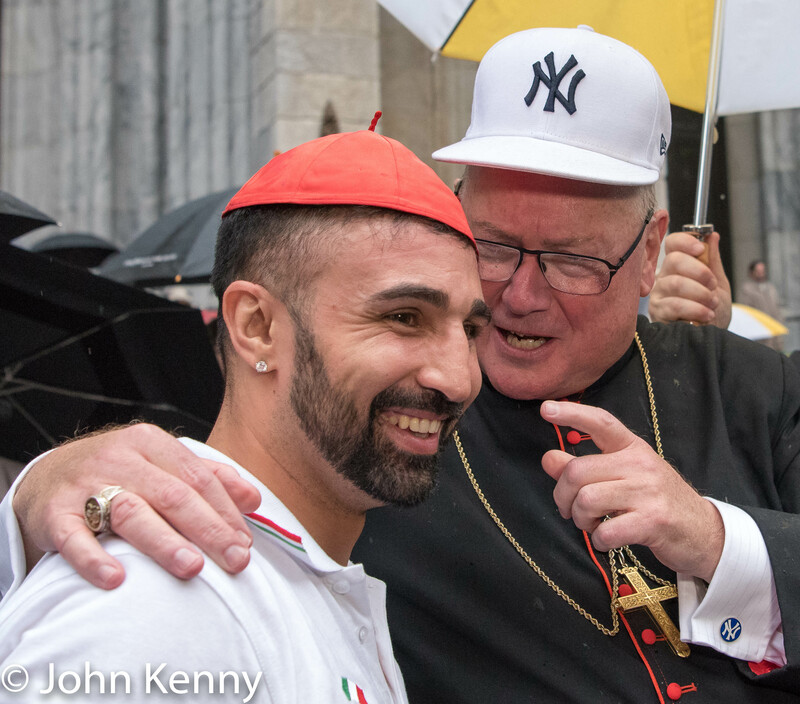 Saying he’s “a confrontational person” Borelli described their relationship as being like siblings who fight while home but present a united front to the outside world. He concluded by making clear his preference for Malliotakis over incumbent Bill de Blasio. 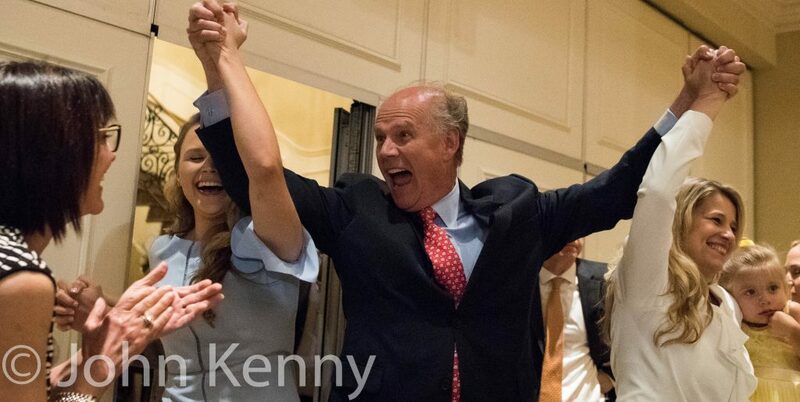 Nicole Malliotakis sought to take back the momentum in the Republican mayoral primary last night as she received the endorsement of her hometown Staten Island Republican Party, hoping to replace Masseymentum with Malliomentum. 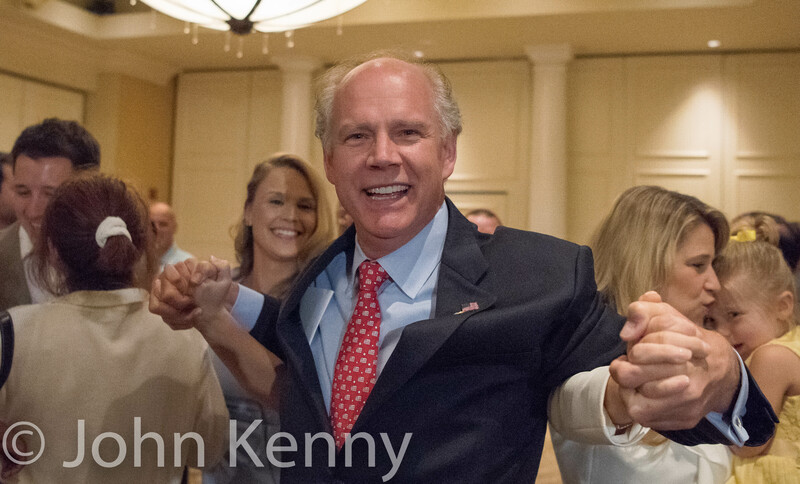 Rival candidate Paul Massey had received the endorsement of the Bronx Republican Party the night before, for his second county organization endorsement. Staten Island’s endorsement of Malliotakis was not a surprise, she’s a well-liked four term elected official, but it was nonetheless a welcome boost for Malliotakis. 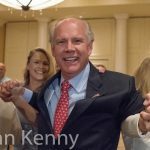 A crowd of about 75 people gathered for the Staten Island party’s nominating convention, enthusiastically cheering their nominees. Incumbent Borough President Jimmy Oddo and incumbent City Council Members Steve Matteo and Joe Borelli were among the nominees, each unanimously selected without any opposing candidates. Michel Faulkner, who was not present, was endorsed for comptroller, also without opposition. As reported by the Staten Island Advance’s Rachel Shapiro, (prior to my arrival) the Party endorsed J.C. Polanco for public advocate. Malliotakis’s acceptance speech was a mix of campaign themes and a hometown address to fellow Staten Islanders. She turned to a recent campaign theme, describing New Yorkers driven to leave the city as “economic refugees” and “quality of life refugees.” Malliotakis also touched on familiar criticisms of Mayor de Blasio, saying that he “ties the hands of law enforcement” and ignores the will of City residents in areas such as his plan to build 90 shelters for the homeless and his newly adopted goal of replacing Rikers Island with jails throughout the City. 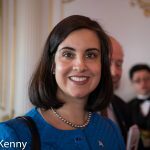 Malliotakis voiced a central theme of Staten Island politics; that the borough is shortchanged and “we have to fight together twice as much to get half as much.” She criticized the mayor’s “five borough ferry plan” for excluding Staten Island, and said that the only thing Staten Island does get a fair share of is unwanted traffic cameras. Malliotakis closed with promise to “bring a message of common sense and sanity” to the City and City Hall. On Friday Joe Lhota and Assembly Member Joe Borelli held a press conference calling on the City to allow Staten Island drivers to use roads inside the now-closed Fresh Kills landfill. Fresh Kills was closed in 2001 and is presently being developed as an eco-park. Opening roads for local drivers, who endure heavy traffic congestion, is an appealing issue for Lhota. 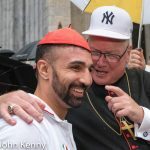 It highlights his deep deficit in the race, however, as he’s fighting on what should be his turf both geographically and topically, rather than on Bill de Blasio’s turf. Here’s our look at Lhota’s battle. Here is complete video of the press conference held by Joe Lhota and Assembly Member Joe Borelli.